However, when we meet Marie and we are introduced to the story behind the Wild Hunt, I felt something was missing from the plot to fully involve the readers. It seemed as though our main characters Joanne, Gary, and Marie were in on some private or inside joke the readers are not made aware of, which gives the impression we are excluded from knowing about the story. I tried very hard to give it a fair chance, but I simply just lost interest. I even flipped through the rest of the book to catch witticisms and interesting one-liners, but every time I came back to where I originally left off, I found my mind wandering and growing bored. 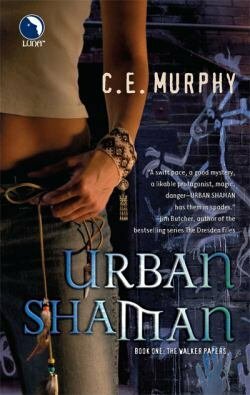 I'm sure Urban Shaman will be a delight to readers who just love the fantasy genre with all their heart. Fantasy needs to win me over a lot more.